naga | let's go pinas!! It is like a scene straight out of an old part of Manila – a little chaotic, a little washed out. Multitudes of jeepneys and tricycles ply about the narrow city streets at its most commercial site of Centro. People try hard to amble about at the avenues and roads, without much of the wanted sidewalks or pavements. The city proper perhaps may look indistinguishable from other Philippine cities however one has to see through Naga City’s bustling commerce and animated lifestyle, to find out the genteel quality of its people and the soulful character of the vicinity. If it is Naga, then it has to be Penafrancia. The charter city is host to the the most prominent church of the whole Bicolandia – the Penafrancia Church. At the corner of the metropolis, one can see church’s more moderne architecture where the image of Our Lady of Penafrancia is housed. Every September, the whole city and its devotees make a rapturous commemoration of a festival in honor of the Virgin. In other parts of the Philippines, such religious event is done in frenzied street style celebration. But somehow the local church officials through the years have made the whole Marian festival subdued yet with distinction – the image of the lady is paraded through the river of Naga. There, along different sections of the river, hundreds and thousands of people witness with much anticipation the fluvial parade, beautifully lit by the candles in the evening. There is much piety and reverence pouring out from the place. Aside from the Penafrancia Church, it is the Cathedral of Naga that dominates the area. The Cathedral boasts of a spanish-romanesque influences with its thick walls, round arches, and large towers. More education, less movies. Naga has numerous and prestigious colleges and universities. Among them is the Jesuit driven, Ateneo which has two campuses in Naga. One is in the nearer Bagumbayan Sur; the other a little toward Mt. Isarog, in the area of Pacol. For the youth who are leaning towards technology and science as a career goal then they should enroll at government funded, Naga City Science Highschool. During weekdays, one can see a plethora of students, enjoying the company of classmates and friends inside and outside school campuses. Interestingly enough, the city kids of Naga do not frequent the malls. Perhaps, because all the malls in the city do not have movie houses (at the time this was written -2009). In fact there just few of them – independent movie houses – scattered in the city. But this will change, as a humongous mall will open in the coming months to serve Camarines Sur and other provinces of Bicol. Surely, the mall will have many cinemas. And this may just alter the simple ways of the studentry of Naga. Some like it hot – and with gata (coconut cream). Yes, it has been told that Bicol’s cuisine is largely spicy hot and calorie rich. One of the fastfood restos that promote such delectable local food creations is Geewan which can be seen in many parts of Bicol, including Naga. There one can have an appreciation of the original laing (taro or gabi’ leaves cooked in gata), Bicol Express (meat in shrimp paste and gata, and pinangat (ground beef wrapped in banana leaves). The food in the Geewan is definitely scrumptuous, but somehow there is less bite than expected. Most probably Geewan has tempered the hotness of its servings, in order not to cause tongue trauma to its valued clients. Afterall, many customers who come by to this place are tourists who just want to sample the famous food of the region without experiencing the complications brought about by the supposed spiciness. Definitely less piquant, but as flavorful as the other native Naga food is sinuman. It is a snack made out of glutinous rice cake cooked in panucha (crude sugar). In the outskirts of Naga City, ambulant vendors bring and display the stuff in a bilao (bamboo tray). Sinuman costs at five pesos a piece. Naga may be as busy as the other urban centers of the Philippines. And it is possible, with some salient modifications in urban restoration, this chartered city can catch up with them in terms of luster and gleam. But it is Naga’s graciousness and ardent character that should always be kept and preserved by its people. Who would have thought that the premises of a certain provincial capitol could dust off its stodgy and prim attributes in exchange for being the hippest and coolest government territory? Just hie off to the Camarines Sur’s sprawling 151 hectare Kapitolyo at Pili, and you get the sense of youthful enthusiasm and vigor what with the several important projects involving high technology and some paradigm shifting in providing jobs, education, and tourism activity. The CWC (https://letsgopinas.wordpress.com/2009/03/06/amped/) is the big kahuna in its arsenal of offerings inside the government dominion. Some would characterize the project as juvenile, but it is a significant project in line with province’s top of mind positioning as an action packed and adventure laden travel destination. The idea of CWC converges with images of other spots inside and a little beyond Camarines Sur – the beaches of Caramoan, the butandings of Donsol, and the mountains of Mayon, Isarog, and Bulusan. Within the compound, the provincial goverment goes into computer animation and informaton technology, allowing two separate buildings to provide education in cartoon making, and jobs in call center accounts for the youth. Unquestionably, the Governor L-Ray Villafuerte’s young energy and mindset that direct the whole system in providing innovative and yet effective methods in showing what the province can do. But one should be aware that the past governers of the province have also made substantial physical inputs inside the governor’s executive expanse during their terms. One could enjoy the aviary, the deer farm, and the pigeon feeding area at the Ecovillage. There is also the manmade cave and lake to explore and to take respite in respectively. And aside from what CWC’s accommodations, there are a number of other hotel rooms for the visitors to stay in – the Governor’s Mansion and in the campsite area. The whole Capitol grounds is really impressive, considering the meager resources perhaps. But it is in the way this administration thinks and acts that is most riveting and exciting – with so much aplomb, and outside the usual box. But there are still people who remain to be pious during the most hallowed days of the Lenten Season. And they do this with some ritualistic observance done to fulfill a promise. This is what we Filipinos call – Panata. There are many ways and rites to show devotion to the Lord. Pabasa is one panata where people in the community take turns in singing the Passion of Christ’s Crucfixion. Usually pabasa is done for the whole holy week. Many times a panata is started by one person, until the whole family becomes a part of it, and even continues it once the person who originally commenced the panata is not available. And it is possible that a whole community takes part of a particular panata such as in Pabasa and Cenakulo. There are other methods of doing panata. Some would go to 14 churches during Maundy Thursday and Good Friday for Visita Iglesia. Some would act and be part of a Cenakulo – a dramatization of Christ’s last days. And some would go to extreme – flagellate themselves, and even accede to nail themselves to a cross – just like what Christ had done. The Catholic Church has already expressed that such acts are violent and unwarranted. Some panatas are ways to thank the Lord for His blessings and miraculous healings during the years. Some panatas are done for a wish to come true in the future. While some do their panatas for fear that some unexpected and bad things can happen once a panata is skipped. Just the same, these people see a panata as an overt expression of devotion to Christ, the Saviour. And yearly panatas are done for the rest of their lives. But a panata is not exclusive to the activities done during holy week. Some would be called to go to Quiapo Church for the Nazareno devotion or even trek to Naga for the Penafrancia Festival and participate wholly for the activities. In our case, my Mom celebrates San Jose, who is the carpenter-father figure of Jesus Christ. In our household, it has been done for a few years now. 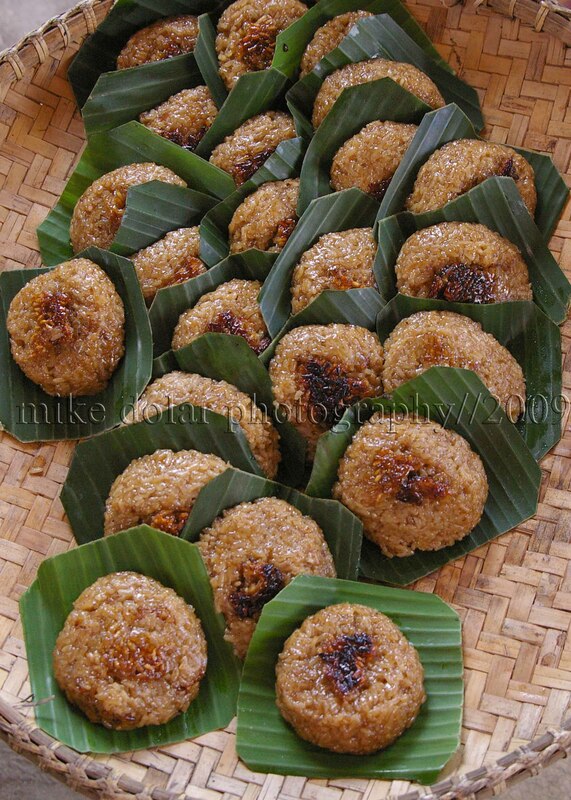 But my mother says that her mother in her hometown in Iloilo had this panata for many years. And somehow, mom wants to revive it in our family. At first I find it a little weird. We have to look for people to represent St. Joseph, Mother Mary, and a young Jesus and dress them as such. Then after some prayer, they are to be fed food by other people. Then everyone has to take the hand of each significant participant and ask their blessings. Until now, I am still struggling to get the full meaning and sense of this custom afterall the responsibility of pursuing this panata can just fall on me, some time from now. Hopefully, I just don’t want this to be just a mere ritualistic continuation of my mom’s sacred vow. Advanced Happy Easter everyone. Belated Happy Birthday Mom.